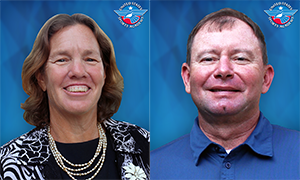 United States Sports Academy National Faculty members Dr. Bonnie Tiell and Dr. Phillip Capps. DAPHNE, Ala. – The United States Sports Academy continues to provide sport education to students around the world with Dr. Phillip Capps and Dr. Bonnie Tiell, instructors from its National Faculty, recently teaching in Malaysia and Thailand. The Academy’s National Faculty is a group of highly qualified faculty who teach in the Academy’s international post-secondary non-degree education programs. An experienced sports educator, administrator and operations manager, Capps taught for the Academy in Malaysia as part of the international education programs offered by the institution which contribute to the training of the people responsible for improving the health and life skills of the youth of the nation. Capps has taught previously in both Malaysia and the United Arab Emirates. 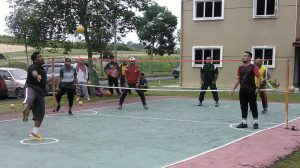 Students in Malaysia participate in the United States Sports Academy’s international education programs to prepare them for careers in the physical education industry in that country. Launched in Malaysia in 2012 and continuing today, the Academy’s International Diploma in Physical Education and Sports Coaching (IDPESC) program has trained thousands of Malaysian teachers in critical physical education and coaching skills. Concurrently, the Academy’s “Train the Trainers” (TOT) program continues to assist the Malaysian government in its National Service Training Program (NSTP). 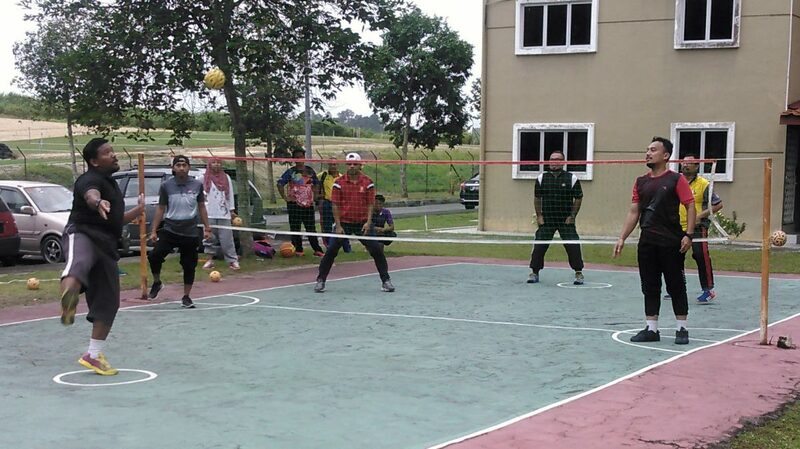 The Academy’s instructors are responsible for training the instructors who in turn teach sport and physical fitness skills to more than 250,000 Malaysian youth each year as part of the country’s NSTP curriculum. Capps taught nine courses related to physical fitness, physical education, sport coaching methodology and sports first aid. Capps is not only a member of the Academy’s National Faculty, he’s also an alumnus, having earned his Doctor of Education degree in sports management from the Academy. “The opportunity to lecture and teach sport skills in six different states of Malaysia during the past five years while serving as an Academy National Faculty member, beginning in Borneo 2013 and ending in Johor 2018, has been a challenge of a lifetime,” Capps said. Students in Thailand participate in the United States Sports Academy’s international education programs to prepare them for leadership roles in sport in that country. Tiell recently returned from teaching for the Academy in Bangkok, Thailand, where the institution is conducting its International Certification in Sports Coaching (ICSC) and International Certification in Sports Management (ICSM) programs, which have been in place more than a decade. She taught CEM 422, Structure and Function in Sports, while in Thailand. Approximately 50 students annually are drawn from the Sports Authority of Thailand (SAT) and its affiliated sport organizations around the country to attend each of the certification programs, with as many as 100 students involved each year. Following the conclusion of the classroom portion of the program, which is provided by Academy instructors, the SAT selects the best students from each program for a special study tour of sport in America. A delegation of approximately 15 students and administrators from the SAT takes part in an educational tour of various sports organizations and venues for two weeks from coast to coast in the United States, including a study visit to the Academy. “Thailand is known for its extremely hospitable culture which is why it was an easy decision to return to Bangkok to teach,” Tiell said. “Another driving force is the interaction with the students who are high level industry professionals from the Sports Authority of Thailand and from over a dozen national and continental sport federations. This year the Academy’s programs in Thailand have been expanded through the addition of the National Sports Coaching Program (NSCP), a certification program designed to meet the advanced needs of Thai coaching professionals and to aid them in becoming leaders of their coaching communities. Under the program, 35 students will attend four advanced coaching courses in Bangkok to introduce them to the latest in coaching theory, and 10 exceptional student-coaches will be chosen by the SAT to participate in a hands-on practicum opportunity in the United States in September. Tiell is also an Academy alumna, having earned her Doctor of Education degree in sports management from the Academy in 2004. She was the Academy’s Alumna of the Year in 2014. She is a professor of sport management at Tiffin University in Tiffin, Ohio, where she has been widely recognized for her contributions to intercollegiate athletic administration and global sports governance.